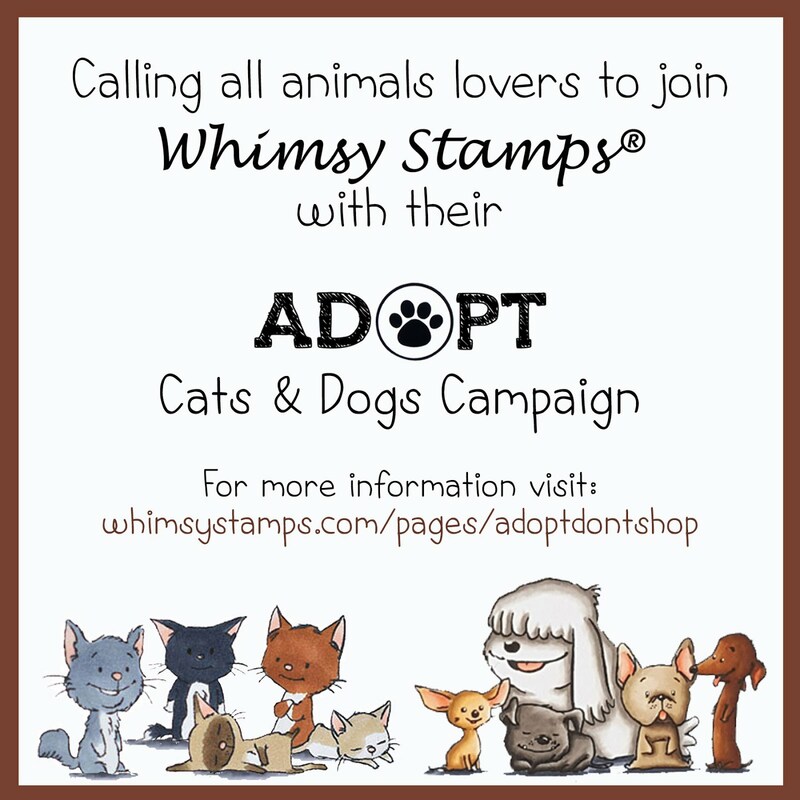 The Whimsy Stamps February NEW release is hot off the press and it's filled with fun and creative stamping toys! What a great way to kick off the weekend :)! For my post today I'm highlighting the NEW Friend Word and Shadow die. This is such a cool die, you can use it with or without the complementing You're Too Kind stamp set. And there are different combinations for the shadows. 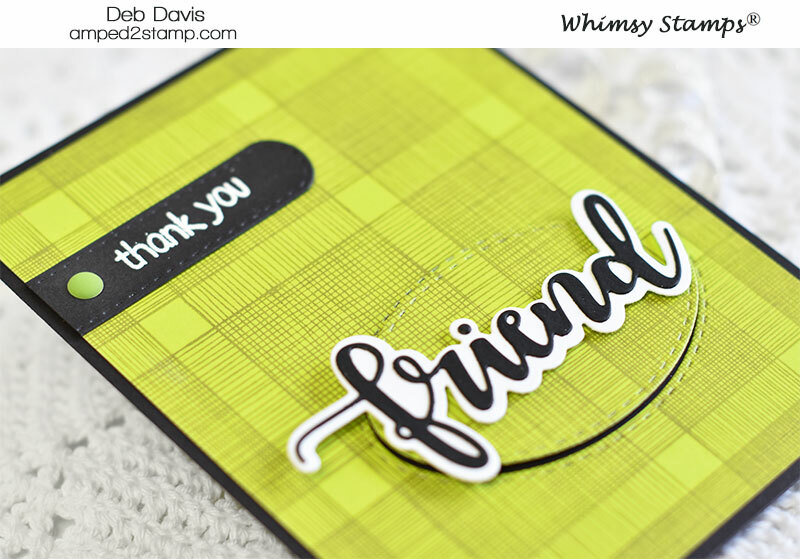 The Thanks Word and Shadow die released last month works the same way and has been so popular we had to make a matching Friend to go along with it ;). 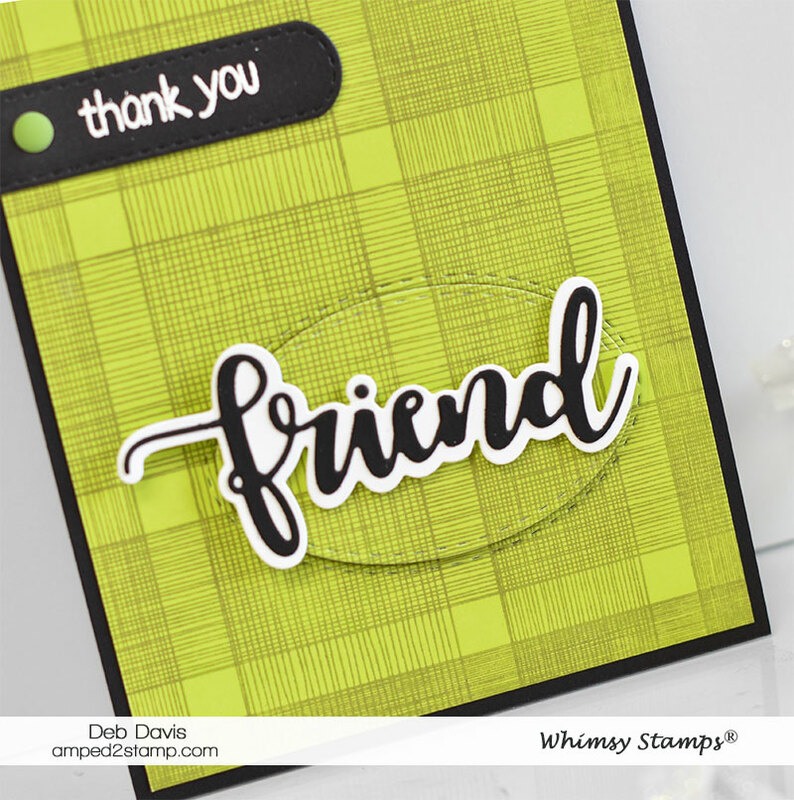 I first stamped the Buffalo Plaid background with grey ink on a lime green card stock. Then I used the (smallest) Stitched Oval die to cut the oval. I glued the background on a black card base then adhered the oval with foam tape. I used the You're Too Kind stamp set and heat embossed the sentiment with white embossing powder then I cut it out using one of the Quick Strips dies (one of my fav die sets!). I just trimmed off the left edge and glued it down flat on the card. Then added an Enamel Dot for another touch of lime green. I cut out a white Friend shadow (the un stitched one) and the Friend word in black. Then glued that on top of the popped up oval to complete my card. Be sure to shop the new release early because things sell out FAST! We are constantly re-stocking items and have a "notify me" option for each product when they are back in stock.